So I'm definitely late in posting this but better late than never! 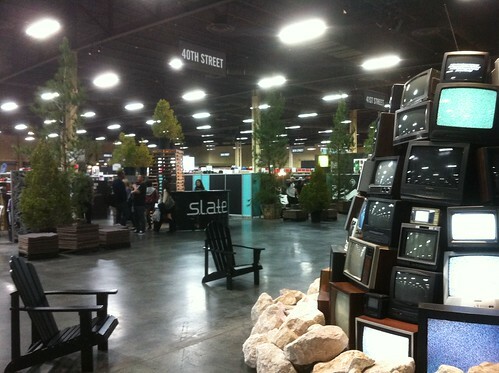 I attended the Las Vegas MAGIC Trade show, February 12-14, 2012. 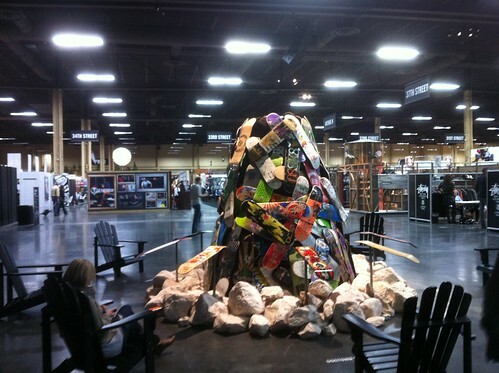 MAGIC is a trade show for fashion brands and designers. They share their next season's product lines, hope to fill orders, network, etc. Let me tell you, fashion lovers, it is like heaven except for you cannot purchase anything haha, unless of course you are a retailer. I went to help out my dad's company, Zephyr. My dad, me, and Patrick (bro) came to help out. 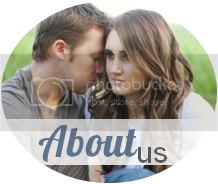 Kevin and Inger (co-worker) came February 11 to set up. Kevin was there since he works lots of high school shows, trade shows, etc. 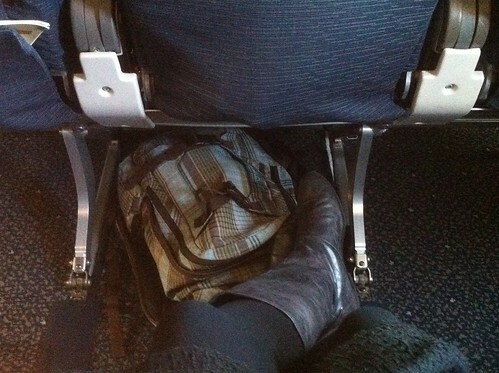 We scored emergency exit aisle seats, boo-yah for extra leg room! Oh yes, I was 12 weeks prego here. 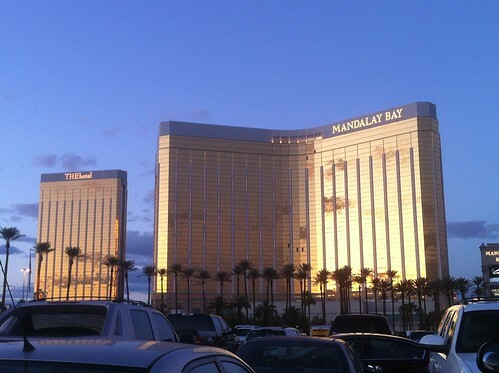 MAGIC was held at the Mandalay Bay Convention Center. As soon as we got in, we went to the convention center to check out and finalize the booth and check in. Then we hit up a buffet in the Mandalay Bay! 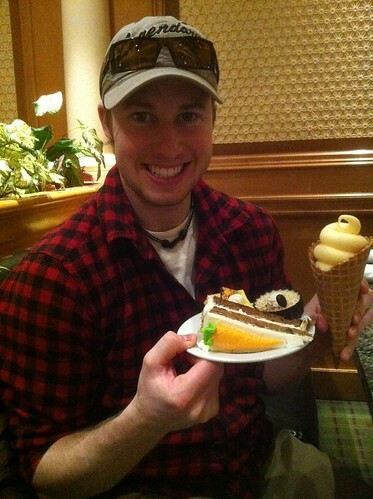 Kevin and his carrot cake and soft serve ice cream cone. Pretty sure I had 2 pieces of German Chocolate cake. Love that stuff! 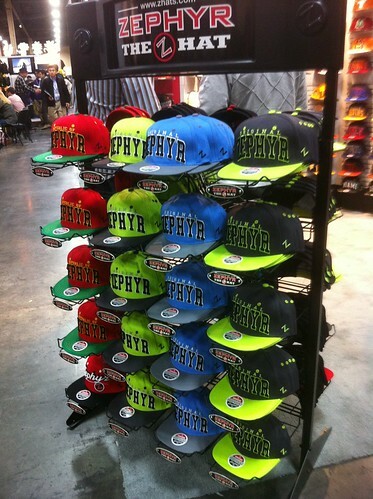 The Zephyr booth was at Slate/Street Menswear. Here are a few photos before the show got going. 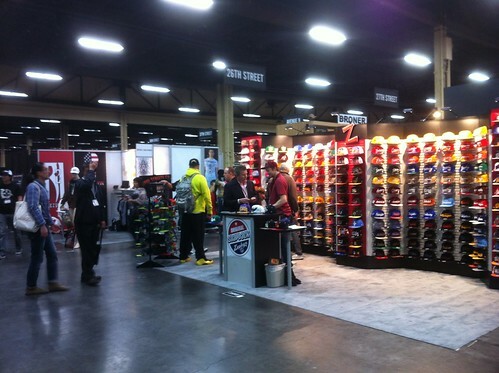 Our booth was across from Tap Out. So funny. I am so not a Tap Out kind of girl lol. I'm just sitting here taking a break. I don't know what kind of shoes you need to wear standing all day but these Nordstrom boots did not cut it! 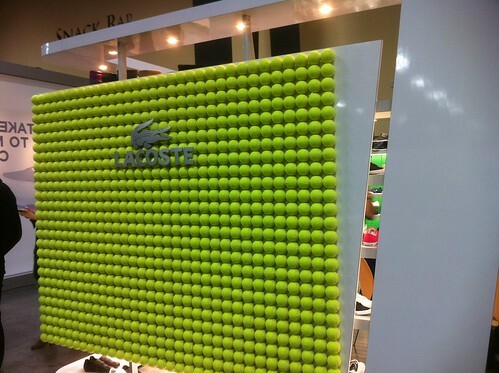 In Project (area of the show), there was a Lacoste booth. You had to have an appointment to get in. There were models hired to just hang out inside the booth wearing all Lacoste. Love Lacoste. 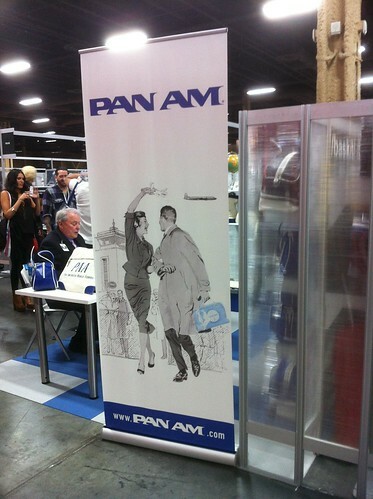 Since I know a lot of people are Pan Am fans I took this picture of the Pan Am booth! If you own a store you can carry Pan Am goods! Project was crazy! They had booths with free hair cuts, free manicures, and free make overs. They had photo-shoots with models posing with big crowds watching. They had little blogging stations haha! It was just cool to see lots of crazy fashion. Almost everyone was super stylish. There were tons and tons of designers - high end and new ones - with awesome stuff. The night before we decided to see if we could see a Vegas show. All the Cirque de Soleil shows were sold out and same with the magician ones. 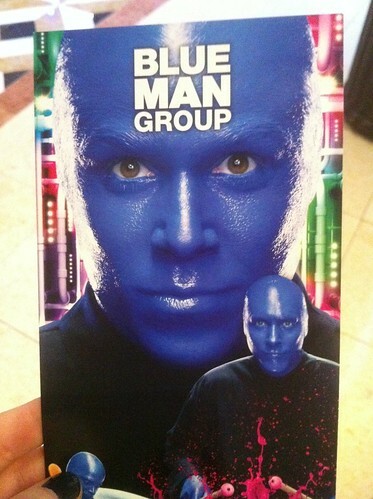 We decided to see the Blue Man Group at The Mirage! Let me tell you it was...freaking weird. I thought there would be lots more drumming than there was. I felt like overall it was supposed to be funny. The Blue Man guys kept doing really dumb things and people were laughing but really, a lot of it wasn't that funny. The drumming stuff was cool though and it was funny when people came up on stage from the audience. And at the end they had rolls and rolls of toilet paper that got rolled down over the back of the audience, then the whole audience pulled the rolls up and eventually it ended up on stage. It was weird and I bet if you were claustrophobic you would have freaked. Lol. Overall, I just really don't know how to explain it but I thought it was SO WEIRD! 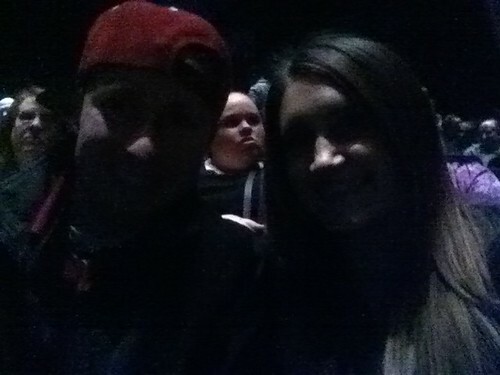 See the people behind Kevin and I? Well guess what? They were the MOST ANNOYING PEOPLE IN THE WORLD!!! EVERYTHING they would laugh at! Like no one else laughed at, they did. Just little chuckles then LOUD shrieking ones. Wow, how do you laugh that much? I seriously was going crazy and Kevin was too. I so badly wanted to tell them to Shut Up. I tried to convince Kevin to tell them but he wouldn't. GOSH if they weren't there the show would have been better. I tried so hard to ignore them but they were SO loud and about to break my ear drums. Then we were starving since we ran from the trade show to The Mirage so we drove and drove on this one road in Vegas until we found a normal restaurant haha. Let me explain: We drove on this road and I swear miles and miles of China town restaurants in their characters...then came Korean town! Where the heck were we? Everything was in kanji! 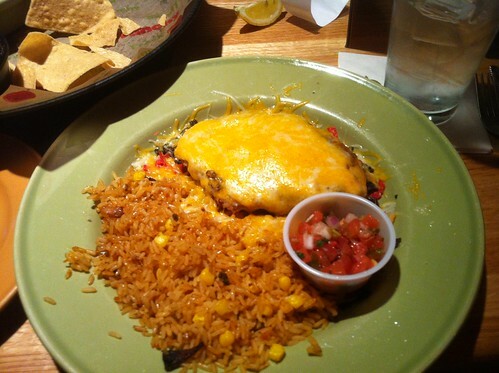 Then finally we saw an Applebee's and gave in lol. I had lime something chicken and rice. It was good. And the couple next to us dined and ditched. Didn't pay up. So lame. We felt so bad for the waiter. So my bro Patrick was so nice and left some money on the table for the waiter. Valentines Day! We only stayed for half this day as we had to catch our plane ride home but Kevin and I did have a chance to grab some quick trade show food for a Valentine's Day lunch date. 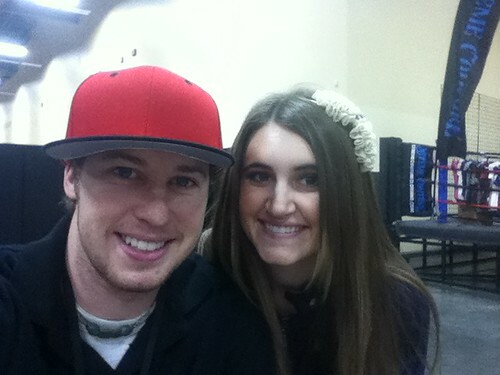 We didn't do anything for each other for Valentine's Day because what we did is...going on a cruise this weekend!!! 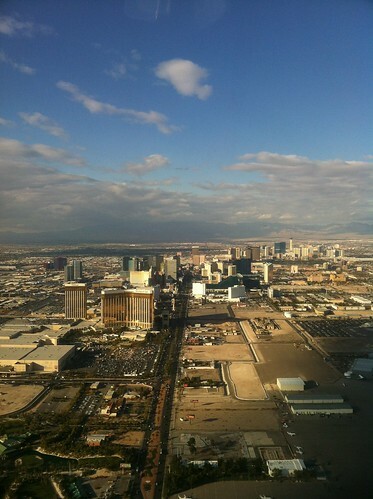 So long Vegas! Until next time! 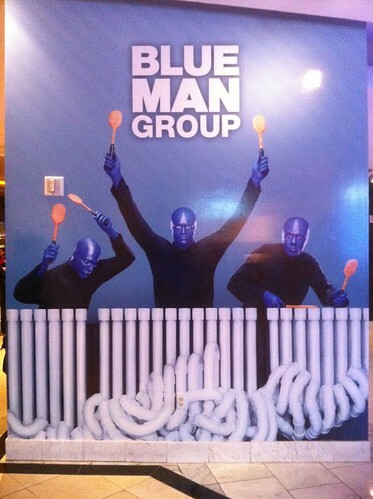 I'm not a Blue Man Group fan, either. I first saw them in Chicago when I was 10 and liked it a lot. But when I saw them later (maybe 16?) I really hated it. Once is enough, and the shows never change! haha! I would never have guessed a blue man group show would be "silly". Huh. Super jealous of the convention though! Looks amazing! viva las vegas! so fun! Looks like a fantastic time! I love the Pan Am pic, but when are they coming out with new episodes? !